All Monticello homes currently listed for sale in Monticello as of 04/25/2019 are shown below. You can change the search criteria at any time by pressing the 'Change Search' button below. If you have any questions or you would like more information about any Monticello homes for sale or other Monticello real estate, please contact us and one of our knowledgeable Monticello REALTORS® would be pleased to assist you. 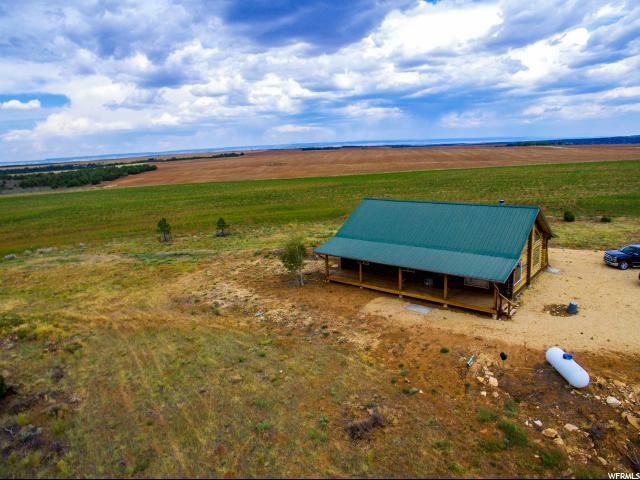 "160 acres with views of 4 Mountain Ranges. 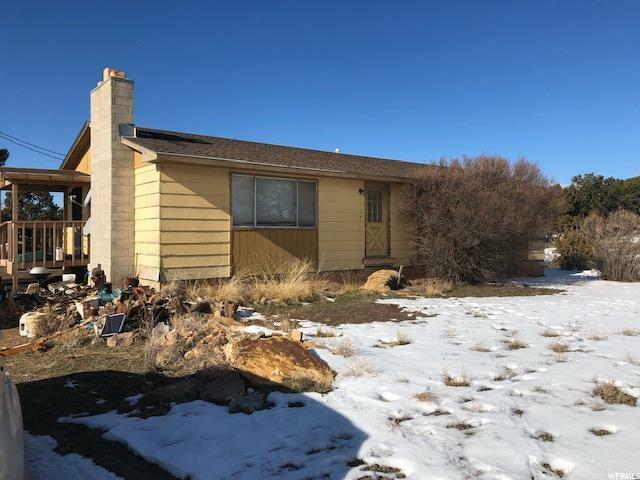 This property offers a log home of 1400 sq.ft., 2 bedrooms, 2 baths with very open floor-plan with a huge loft, and is at the end of the lane in Eastland Utah. Part of the 160 acres is farmed by the adjacent land owner, and the rest runs down into a very unique valley. If your looking for a hide a way this is it. Has power and Eastland water, a huge barn and a four car shed to put your toys in. The South facing wall was recently replaced!" "SOUTHWEST SOLITUDE An astounding, 210 acre private retreat, tucked into an extraordinary valley with viewscapes that rival those found in our magnificent National Parks. 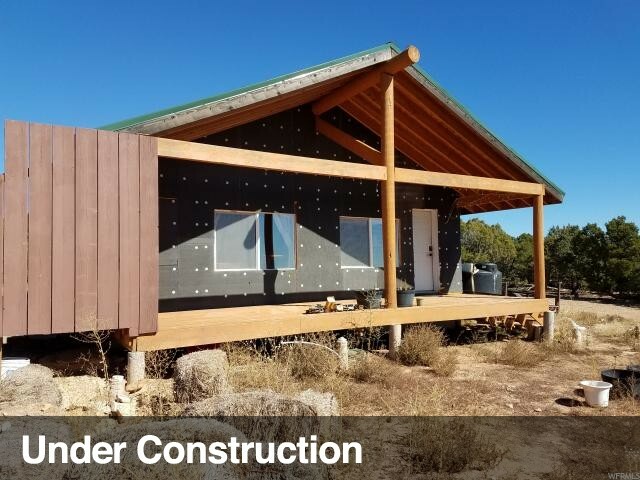 This lovingly crafted cabin style home was constructed from energy efficient SIPS panels, with passive solar design and a thoughtful eye for the landscape and views. The finish is classic, in an elegant mountain cabin style, with exposed timbers, beautiful wood, built-in components, a wonderful open floorplan, exceptional natural light. The main floor welcomes, with a gracious Great Room style with vaulted ceilings and extensive glazing. The kitchen is beautifully outfitted with granite countertops and excellent flow. The dining area creates a perfect transition to the living space, centered around the cozy wood stove. There is a full bath with a great old cast iron clawfoot tub. The main bedroom suite features a perfect alcove for your desk or dressing table, a gas stove, and en suite bath. Stairs lead to an adorable loft space, well suited as an office, family room, or guest room. The outdoor living space is wonderfully designed, featuring a flagstone patio with fire pit. Undulating sandstone formations frame the views, creating an amazing sense of privacy. 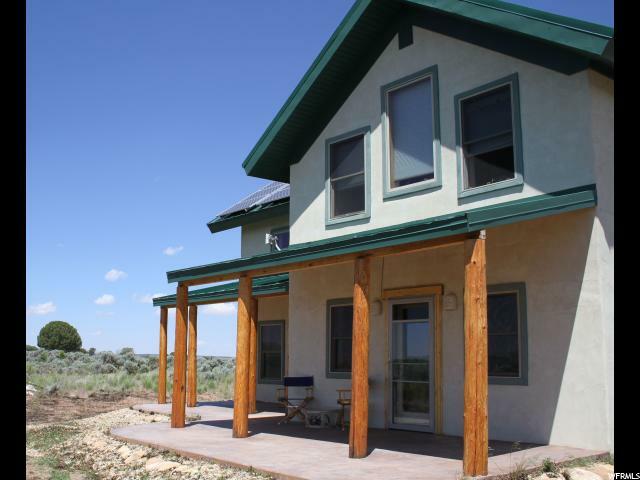 There is an expansive covered porch on the front of the home, where you will love relaxing as you soak in views toward the mountains, even an easy glimpse of the world-famous rock structure just to the northeast. Thoughtful landscaping surrounds the home, with fruit trees and native flowers, while the valley floor surrounding the home showcases high desert beauty year-round. There is a Quonset hut and shed for storage, and excellent space to craft a barn or garage to suit your needs. Included with the property is a 50 HP tractor, complete with blade for road maintenance and mower. The home is off grid, with a solar system with battery backup for electricity, propane gas, and a well with deeded water rights. 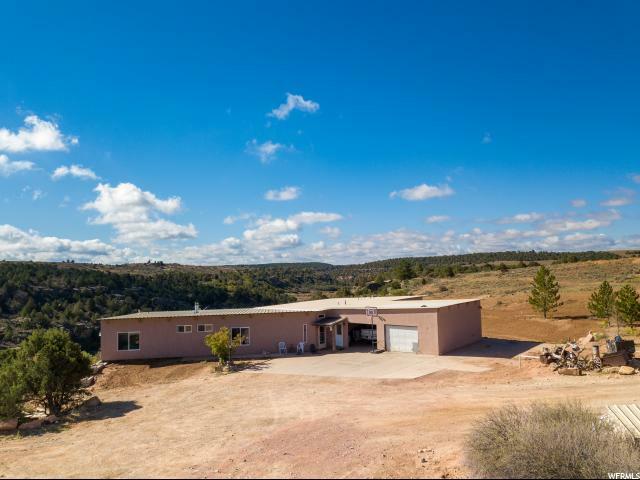 The 210.90 acres are exceptional, a m"
" 102 North Dude is where western living and modern conveniences collide on this stunning 1.2 acre property. Enjoy an evening drink and BBQ on the deck after a hard days work while you enjoy incredible views and endless privacy. Inside you'll enjoy the modern conveniences of AC in the summer and radiant floor heating in the winter as your whole family can be together while taking advantage of the large open design and flow of the family room and kitchen. The bedrooms in this house are all enjoy lofted ceilings, heated floors and large windows to enjoy the view. With 4 bedrooms and 4 bathrooms every member of your family will feel like they have a home to themselves. Kitchen boasts custom wood cabinets, stainless steel appliances, duel wall stoves, and a pantry to fit your groceries for week. Oh yeah, and did we mention the in-door pool? " "From Monticello, Utah: Travel East 17-18 miles to State line. Go 1.5 miles past and turn South on Rd 2/CR17. Go 3 miles South past Rd G, H, and at J Road turn Right two miles until J Road turns into CR 342 on the Utah Side. Follow CR 342 two miles to the property. The road meanders a little to the right for 4/10 mile and then South. Property located across from Fire Station in Cedar Point. " "2920 sq ft, 6 bedroom 3 1/2 bathroom plus flex room. Built in 2008, .49 acre lot with fully fenced in back yard. Sprinkler system and garden area in back yard. 2x6 exterior walls and extended 2 car garage. Vaulted ceilings in family room and large master closet with built in shelves. 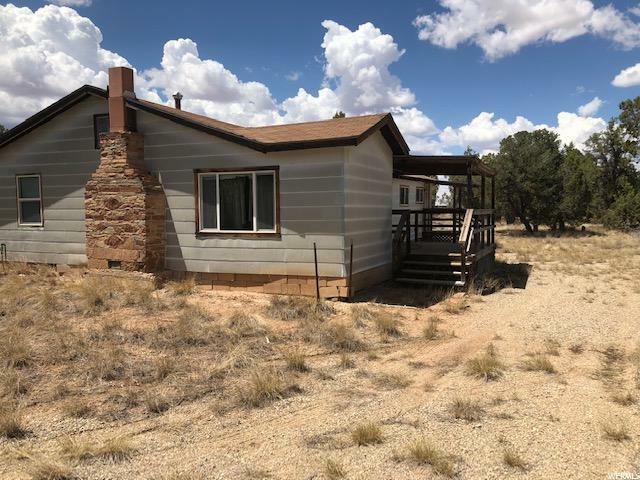 12x12 deck in the back yard with great views of the Abajo and La Sal mountains Square footage figures are provided as a courtesy estimate only. Buyer is advised to obtain an independent measurement." 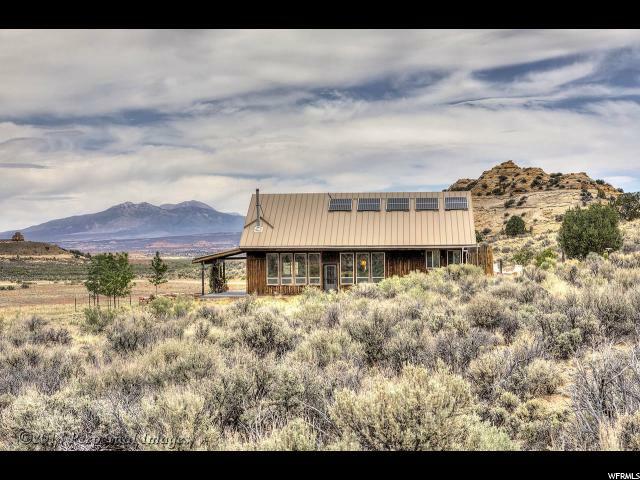 "PRIVATE RETREAT Beautifully constructed off-grid home in a peaceful, quiet setting northeast of Monticello. This two-story home features Rastra block construction with foot-thick walls for excellent energy efficiency and longevity. Your nearest neighbors will be the elk, deer, coyotes, eagles, hawks, and songbirds, abundant in the 80 private acres that surround you. With unfettered mountain views, you will love the escape from the hustle and bustle of daily life - yet still enjoy clear, consistent cellular service, even satellite television and wireless Internet. The home features quality finishes including Pella brand double pane windows and French doors, solid oak and Saltillo tile flooring, custom cabinetry and solid-surface countertops, knotty pine tongue and groove ceilings, a beautiful soaking tub in the main floor bath and a custom tiled oversized shower in the Master bath. The Great Room features 25 foot vaulted ceilings; the open design maximizes the spacious feel of the home and wonderful useable space. There is a huge open kitchen, sweeping living and dining areas with access to the wraparound porch, a guest bedroom and full bath on the main floor. A graceful curved staircase leads to the upper story, with loft area (a perfect office or library nook), and a private Master Suite. The setting of the home is magnificent, with mountains on all four sides and amazing peace and privacy on a private lane. With the feel of a remote, back country retreat, but the absolute comfort of a beautifully built full-time home, this truly unique property is the perfect escape you have longed for." "Feels like home! Watch the spectacular mountain sunset, with your favorite beverage, from the fireplace warmed family room, or from the deck in warmer weather. New insulated vinyl flooring, and attractive tile are tastefully mingled with new paint, new light fixtures and ceiling fans. Bright, open family room flows into the dining, kitchen and living areas. Finished basement has it's own wood stove, new, high end air filtration system, and abundant storage areas. Attractive new faux stone freshens up the formerly dated brick exterior. Delightfully landscaped yard with mature trees, fruit trees and perennial flowers. Live comfortably in this, attractive home. The included, secondary water system can help your landscape thrive." 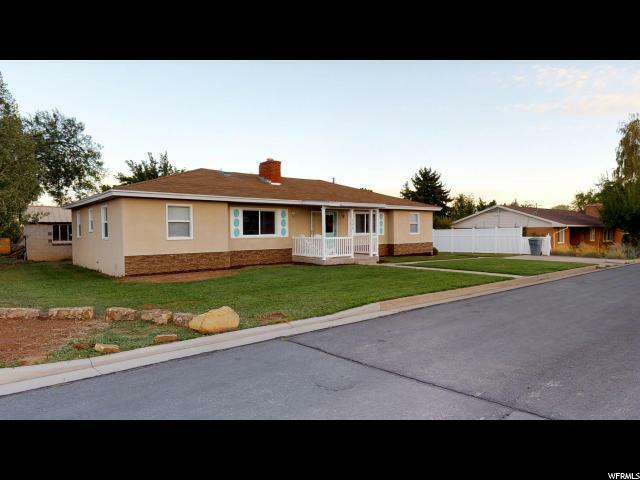 "Recently remodeled and updated home in Monticello. Hardwood floors, Kitchen and kitchenette, laundry room. Has been used as a nightly rental with a good occupancy record. Great in town location. NEW HVAC SYTEM! Installation completion date is set for the end of April." "Enjoy the feeling of the country. Yet close to town. Situated on 11.20 acres. Plenty of room! Bring your animals! Has a well. Drinking water is hauled. Propane. Walk out basement. The old tack shed pictured is part of the Orignal Dude Ranch." "Country living, but right in town. This comfortable home features the best of both worlds; Just blocks from down town but feels like a country setting. You will love the views of the surrounding treed hills and enjoy watching the wildlife and the ducks on the adjacent pond. 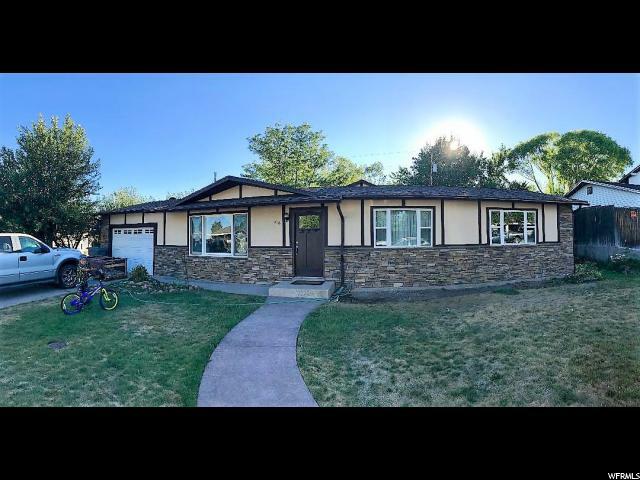 This property includes a 3 bedroom remodeled home, an over sized attached garage, plus a big shop to accommodate all your hobbies or park extra 4X4's and toys. 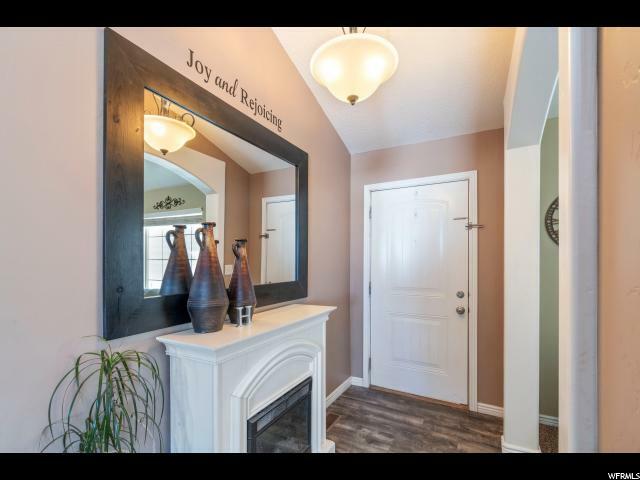 Inside the home you will find custom woodwork throughout. The spacious rooms and large windows allow wonderful sunlight to stream in. In the winter you can curl up to the warmth of the Pellet stove surrounded by custom wood and glass display cabinets. The kitchen is open and inviting with lots of cupboard space and cabinets. Washer & dryer are conveniently tucked behind custom doors off the dining room. The bedrooms are also spacious and include large closets and beautiful laminate floors. You will enjoy the luxury bathroom with amazing jetted tub/shower and unique vanity that wraps around providing plenty of counter space. Outside you will enjoy the fully fenced .32 acre yard with established big trees and bushes. The shop is a real plus with 220 power, pressure hoses, gas heater and tons of cabinets and storage. This property has everything you need." "Perfect southern Utah recreational property. Cute little unfinished cabin on 40+ acres that borders BLM land. Property includes outbuildings for utilities and livestock, a septic system, and 500-gallon owned propane tank. Perfect access for hunting, hiking, and other recreation in this mountain getaway surrounded by pines and pinions. Close proximity to several state and national parks and easy access to Moab and Cortez, CO. Plenty of wildlife on property and in surrounding areas. There is a pond on property that attracts deer and elk." "This property is being sold as is The seller has no knowledge of this property. There are no seller disclosures. This property is being sold as per the State of Utah Probate rules. For more information on this property contact Griff at countywide realty. The property appears to have a well but at this time there is no information regarding this. A preliminary title report is being prepared."